The matador of Spanish poker, Carlos Mortensen, has made poker history by being the first man to claim both a WPT Championship title to go along with a WSOP Championship. It was back in 2002 that Mortensen won the WSOP Main Event. Mortensen saw off the dogged heads-up challenge of Kirk Morrison to lay his hands on the winning purse of a fraction less than $4,000,000. Morrison takes home nearly $2,000,000 so can take solace in that little detail! Early the previous day, 27 players lined up to play looking for the right moves and cards to make the final table and the lights of the WPT cameras. Carlos Mortensen was well-placed sitting in third spot behind Paul Lee and Kirk Morrison with top internet players Sorel Mizzi and Thomas Wahlroos in contention. 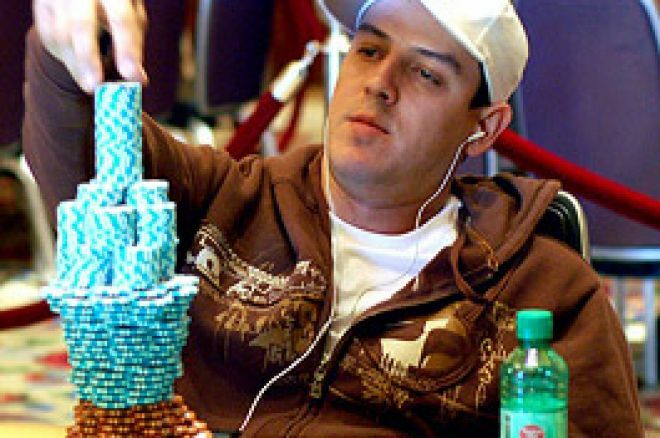 He would probably have been happy to know that the major threats of Phil Hellmuth and Roland de Wolfe had surprisingly drifted away during Day 4. However, US hotshot Scott Fischman was still a danger in 9th. In early play, Hellmuth demonstrated his sticking power by winning two huge pots with some excellent betting through to the river, maximising the take from his opponents. The same could not be said for Roland de Wolfe who was low-stacked and failed to get the double up he needed, going all-in with AJ and meeting Jimmy Tran's AK. De Wolfe captured around $92,000 for his troubles. Phil Hellmuth loves to play poker meaning that he prefers to siphon chips off players by keeping them in pots to the river. This is great when it works but not when he allows his opponents to catch their cards on the river. For this reason, Hellmuth's well-known outbursts are frequent occurrences! This happened with Hellmuth holding pocket kings against Kirk Morrison. Alas, a third spade on the river was enough for Morrison to take down a good stack with a flush. Hellmuth called the bet on the end as he simply does not believe his opponent has caught up with him. However, in the same vein, the Poker Brat picks up chips regularly by not folding to bets when he feels his opponent is bluffing or weak so Morrison found some chips heading back the other way soon enough. All the while, players were dropping away around them. With 18 left, Phil Hellmuth found pocket jacks and raised it to 90,000. Thomas Wahlroos re-raised to 230,000. Many players in Hellmuth's position would probably go all-in here but not Phil who called and checked in the dark for good measure! The flop of 862 rainbow was to Phil's liking. Wahlroos took the opportunity of Hellmuth's pre-booked check to bet out 300,000. Now Hellmuth did go all-in and was met with both a call and the horrible sight of a pair of aces. No jack to rescue Hellmuth and he went out in a creditable 18th with another $123,000 in his pocket. Meanwhile, Sorel Mizzi met his match in Carlos Mortensen. These guys are skilful but, as for Hellmuth and Wahlroos, when two high-ranking pocket pairs clash in the late stages of a tournament, you just have to hope you hold the bigger of them or pray. Mizzi found JJ sufficient reason to go for a double up. Once more the jacks proved to be the dangerous cards that they are. Carlos Mortensen had found KK and eliminated another player! So, Paul Lee had a substantial looking lead but no-one was prepared to rule out the experience of Mortensen. However, it was Kirk Morrison who drew first blood by eliminating Mike Wattel, a WSOP Bracelet holder at seven card stud. Wattel had lost chips early in the play and his J9 did not hold up to Morrison's KJ. Fifth place and $414,000 went to Tim Phan who suffered the small stack's curse of receiving a decent pocket pair to go all-in with only to be called by the bigger stack's bigger pair! This time, Phan's 99 was demolished by Kirk Morrison's pocket aces. With four to go, the chip leader Paul Lee was appearing flustered apparently getting either no cards or no action when he was getting them. So, the inevitable finally happened when Mortensen overtook his chiplead. Now all four players had workable stacks. Pot sizes were beginning to assume major proportions and the chip count was moving around violently. Something would give soon. It almost did when Mortensen committed all of his chips with AQ on a QJ9 flop which Morrison called with JJ for a set. It held up for Morrison and Carlos Mortensen was sucking air and close to elimination. But the comeback was soon to begin and Mortensen began to steal pots and take some crucial double-ups. Meanwhile, Guy Laliberte was eliminated in 4th place for close to $700,000 after his AJ failed to beat Kirk Morrison's 22. Mortensen recouped a good number of chips from Morrison by doubling up through him with Q8 on a Q high flop. Morrison's second pair was insufficient. Then the Spaniard found A9 and once more doubled up, this time through Paul Lee, on an ace-high flop. This left Paul Lee crippled and he moved all in when he also found A9. Kirk Morrison had A 10 with which to call him and eliminated Lee who takes home over $1,000,000. Heads up, Carlos Mortensen had 12M in chips against Morrison's 19M but Mortensen is well-regarded as a fearsome heads-up player. He put this ability to use now but not before Morrison took a big pot with a brave call holding a bare ace against Mortensen's bare king. Mortensen finally took the chip lead when players checked to the river, at which point the Spaniard caught a straight, bet big and got a call. Sometimes you just have to bet! The play then see-sawed with both players coming close to elimination. Finally, it ended. On hand 182, Carlos Mortensen, on the button, raised to about 5 million and Morrison moved all in. Mortensen called with KJ and Morrison showed A4, to be slight favourite. The flop of 743 left Mortensen needing a king, a jack, or a runner-runner. Then, the killer blow - the turn card was the J! The river failed to rescue Morrison this time and Carlos had made history. Ed note: Play poker on a cruise ship! Win a poker cruise ticket with our exclusive UK Poker News Freeroll. See how at this Ladbrokes Poker link. Who's Afraid of the Big Bad de Wolfe?